~ 7 April 2017 Submit application form by due date. *Government servants should apply to the Public Service Department of Malaysia. May 2017 Written examination. Only successful candidates will be notified to sit for the examination. July 2017 Interview. Only successful candidates will be notified to attend the interview. August 2017 Nomination to Tokyo Headquarters. Nominees must submit a Letter of Acceptance from any university in Japan. January ~ February 2018 Notification of nomination result (final result). April or October 2018 Depart to Japan. (1) Late submissions will not be entertained no matter what reasons are given. 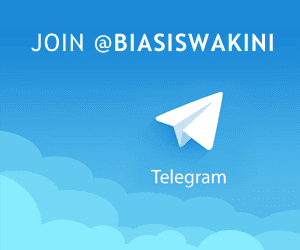 (2) Applications without sufficient documents (stated in the guidelines) will not be considered. (3) Submitted application forms and documents will not be returned, whatever reasons given. (4) The decision on successful candidates made by the Embassy of Japan is final. 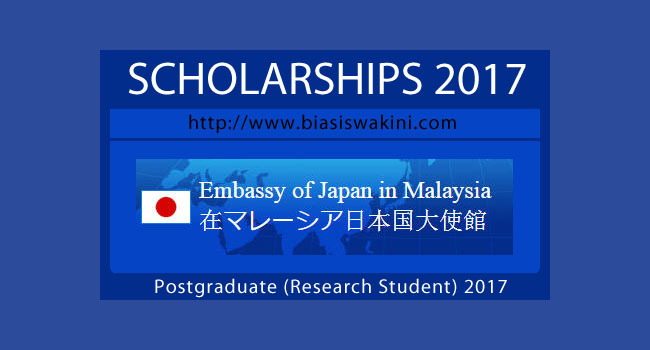 0 Komentar untuk "Japanese Government Scholarship For Postgraduate (Research Student) 2017"